Instead of the traditional card, send a free certificate to wish a friend “Happy Birthday” or say “Thank You” to a family member for a gift. Certificates are simple to make using your computer and can be printed on any style paper you have available. Add clip art and decorative fonts to customize and personalize the certificate for any individual or occasion. Open the design software on your computer. Set the size to “Letter” or choose any size you like. Select the shape tool and choose any design you like. Draw the shapes around the outside edge of the document to create a border. Choose the text tool from the menu bar and select a font color, size and style. Type a title across the top of the certificate that is appropriate for the occasion. Select a smaller font and type a personal message under the title. Type a name under the personal message. Choose the line tool and draw a line under the name to sign your name after printing. Place a sheet of paper or card stock in the printer and print the certificate onto the paper. 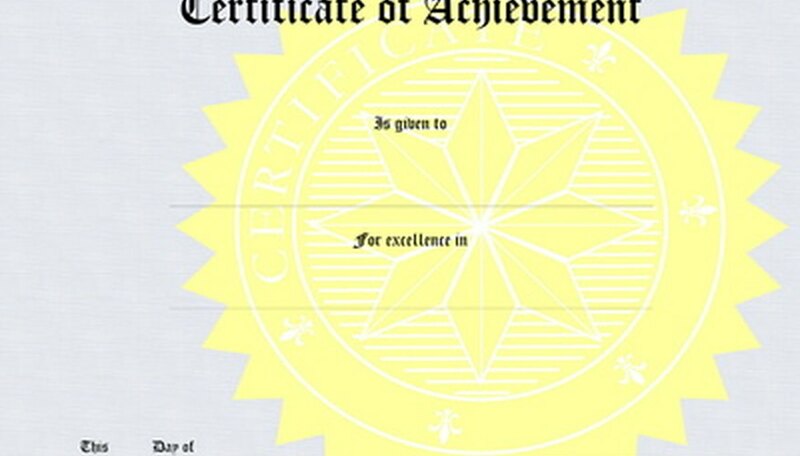 Consider using colored card stock or paper with a watermarked design to add more decoration to the certificate. Use the clip art available in your software to add design to your certificate.